Description: A-PDF Split is a very simple, lightning-quick desktop designed to split your PDF file. The program basically takes a large PDF file and extracts pieces of it based on the range selected by the user. The extracted pieces will be stored into a new file or files (if more than one piece extracted). 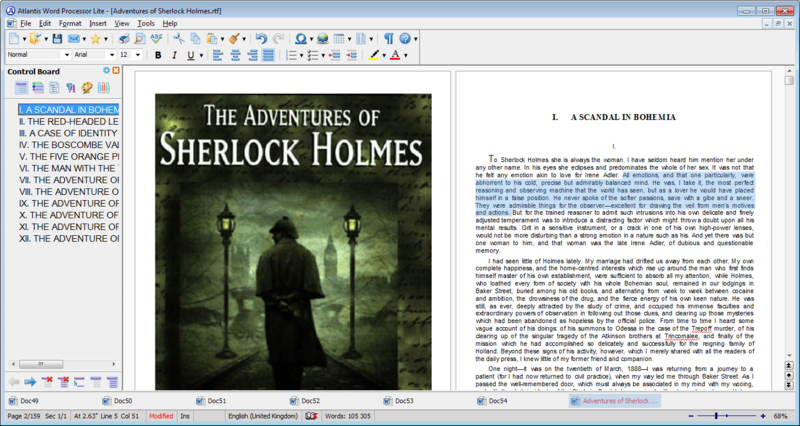 A-PDF Split will even work with password-protected PDF files, and does NOT require Adobe Acrobat. Description: Advanced Word Repair (AWR) is a powerful Word recovery tool. It can scan the corrupt or damaged Word doc files and recover your data in them as much as possible, so to minimize the loss in file corruption. Currently AWR supports to recover Microsoft Word 6,95,97,2000,XP, 2003 documents. Moreover, it is integrated with Windows Explorer, supports drag & drop operations, which will make you repair doc files easily and quickly. Description: Atlantis is an innovative, no-nonsense word processor carefully designed with the end-user in mind. Compact, fast-loading, but still powerful and efficient, Atlantis will be the perfect companion for a wide range of your word processing tasks, - from simple to most complex. It does not matter if you are a novice or a power user, Atlantis has the tools you will ever need to compose highly professional documents. Description: Atlantis is a standalone word processor for both professional writers and those who create documents only occasionally. Powerful and feature-rich, user-friendly and fully-customizable, it will let you work on your own terms. Atlantis is a word processor with charisma. With a unique look and feel, it offers features you will not find anywhere else. Create documents and reports, make eBooks, write novels, articles, and letters, and much-much more. Description: Carefully designed with the end-user in mind, Atlantis Word Processor Lite will be the perfect companion for your word processing tasks. It does not matter if you are a novice or a power user, Atlantis has the tools you will ever need to compose highly professional documents. 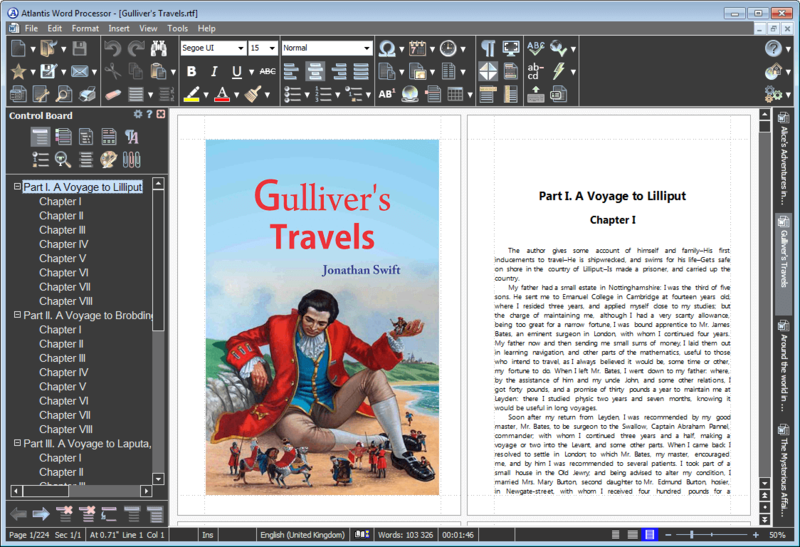 Create documents and reports, write novels, articles, and letters, and much-much more. Description: The Atom Imp Text Editor/Encoding Converter is a straightforward text editor/encoding converter that keeps things simple yet offers a number of additional features useful on a daily editing basis including the ability to handle Unicode, add headers and footers to printouts, spell checking, and more. The program also has the ability to easily convert your text file encoding (very useful with UTF-8 becoming the de facto Internet standard). Description: Show me the last 3 dates when ThisFile has been updated and who did it: BriefAudit easily provides document changes history. 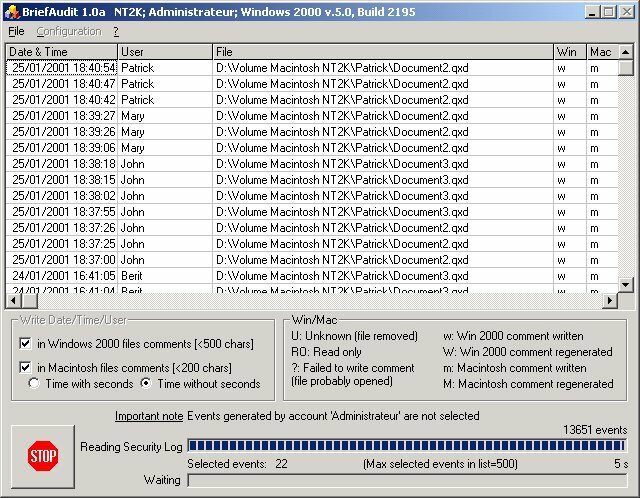 Just right click on the file ThisFile and select Properties using Windows 2000 Explorer or Command when using Macintosh finder. BriefAudit audit software selects files changes events in NT4/NT2000 standard Log is written in comment file property field for future analysis or use by oher applications.